Twenty years ago, one of the best books ever penned about freedom of speech was released. Sadly, many people still haven’t heard of it. That book was Freedom, Technology and the First Amendment, by Jonathan Emord. With the exception of Ithiel de Sola Pool’s 1983 masterpiece Technologies of Freedom: On Free Speech in an Electronic Age, no book has a more profound impact on my thinking about free speech and technology policy than Emord’s 1991 classic. Emord’s book is, at once, a magisterial history and a polemical paean. This is no wishy-washy apologia for free speech, rather, it is a celebration of the amazing gift of freedom that the Founding Fathers gave us with the very first amendment to our constitution. Unlike most people, Emord assumes nothing about the nature and purpose of the First Amendment; instead, he starts in pre-colonial times and explains how our rich heritage of freedom of speech and expression came about. Like Pool, Emord also makes the case for equality of all press providers and debunks the twisted logic behind much of this century’s corrupt jurisprudence governing speech transmitted via electronic media. Pool and Emord make it clear that if the First Amendment is retain its true meaning and purpose as a bulwark against government control of speech and expression, electronic media providers (TV, radio, cable, the Internet) must be accorded full First Amendment freedoms on par with traditional print media (newspapers, magazines, books and journals). While citizens certainly are at liberty to speak freely and communicate their views to others who will listen to them or air them, they do not have a right to demand access to the property of others to do so. If lawmakers could mandate that anyone who has taken the time and expense to build a soapbox to speak on must allow the rest of the world to stand on that soapbox with them in the name of “access” and “fairness,” it would contort the First Amendment into a tyrannical government mandate. This would retard, not expand, genuine freedom of speech and expression. Indeed, when such media access theories have been translated into public policy — as was the case with the old Fairness Doctrine — the effect has been generally to chill speech and expression throughout media. Thus, the danger with media access mandates is that they ultimately transform the First Amendment into an affirmative tool of the state that legislators and regulators can wield to control content and influence the editorial judgments of the press. 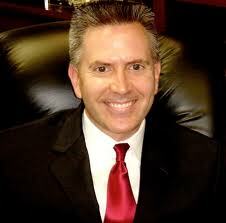 The ultimate danger of this twisted conception of the First Amendment, Emord rightly argues, is that, “It fundamentally shifts the marketplace of ideas from its private, unregulated, and interactive context to one within the compass of state control, making the marketplace ultimately responsible to government for determinations as to the choice of content expressed.” It converts the First Amendment from a shield against State action into a sword that the State can use as it sees fit. Nothing could be more dangerous and it is a complete contradiction of the original purpose and meaning of the First Amendment. Emord’s book is the perfect antidote to such misguided thinking. 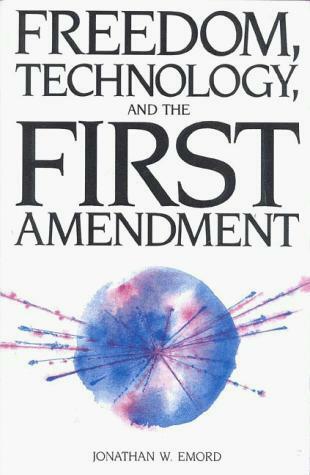 If you care about the First Amendment and the continuing fight for freedom of speech and technological freedom, I beg you to read Freedom, Technology and the First Amendment. It’s as fresh and important today as it was 20 years ago. A wide range of current policy tech policy debates will ultimately be decided by the courts, and which theory of the First Amendment guides them will make all the difference for the future of our digital society and real Internet freedom.